I have an important update for you about the value of your Phoenix home. 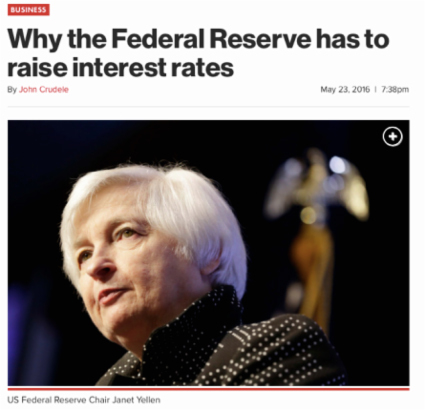 If you’ve been following the news, the Federal Reserve is likely to raise interest rates when they meet on June 15th. It’s been all over the news these past few weeks. This makes it more expensive for people to own a home by raising their mortgage payments. It also decreases your pool of buyers thus lowering your home value. Further, after a 6-year record run up in home prices since the 2008-2009 recession, this may be the last year to get the maximum price on your home sale. It’s likely we’ll see a market correction next year. Here in Phoenix, we’re still seeing neighborhoods with very tight inventory. This means if you list your home for sale, it will sell quickly and possibly above asking price. In other neighborhoods, sales are slowing down. Home prices are lower than they were last year, or leveling off. This summer is the best year to sell your Phoenix home to get the maximum price. If you are thinking about selling your home, I have a special gift for you. I purchased all the recent Phoenix home sale data and put it on my website for you – for free. You can find out what your home is worth right now based on your neighbor’s recent home sale price. Now, it’s an estimate. There are more factors - such as your kitchen, bathrooms, and improvements - that will certainly affect your final sales price. If you’re thinking about selling your home, call me at (602)-909-5994 or reply back to my email. With a few questions about your home, I’ll fill you in on what price it will sell for today at no charge. We’ve worked with many home buyers recently and know exactly what people are looking for in the hottest homes. My estimates are right on the money. And not to worry - if you’re thinking about buying a new home, I’ll share with you the areas in Phoenix where home prices are now more affordable. You may be able to live in a nicer area you previously thought unaffordable. I can also help you secure a low, fixed-rate mortgage without junk fees and with a minimal down payment. I’ll put you in touch with my best preferred lenders. We’re coming up on the hottest home selling season we’ve seen in years. Our economy is normalizing, interest rates are rising, and pent-up demand following the 2008-2009 recession is less. This is the summer to sell your Phoenix home. So, I invite you to find out what your home will sell for with my home value report tool. It’s free to you. You can also reply to my email or call me at (602)-909-5994. I’m happy to answer any questions you have about Phoenix real estate and I look forward to speaking with you.